Definition at line 409 of file Session.cc. Definition at line 413 of file Session.cc. References create(), useConfig(), and ~SharedSessionCacheRr(). Definition at line 450 of file Session.cc. Definition at line 439 of file Session.cc. References Config, Ipc::MemMap::Init(), isTlsServer(), owner, SessionCacheName, SquidConfig::sessionCacheSize, and SquidConfig::SSL. Definition at line 427 of file Session.cc. 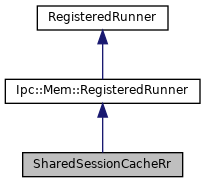 References initializeSessionCache(), isTlsServer(), and Ipc::Mem::RegisteredRunner::useConfig(). Definition at line 421 of file Session.cc. 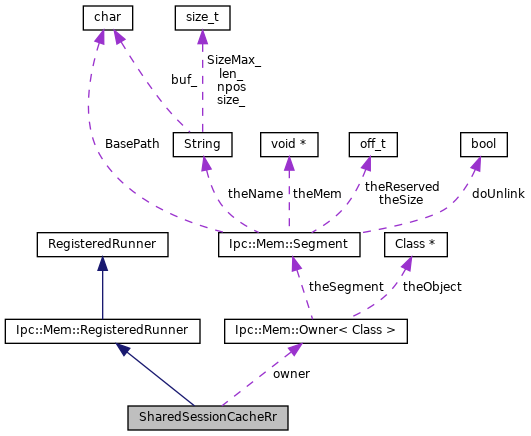 Referenced by create(), and ~SharedSessionCacheRr().